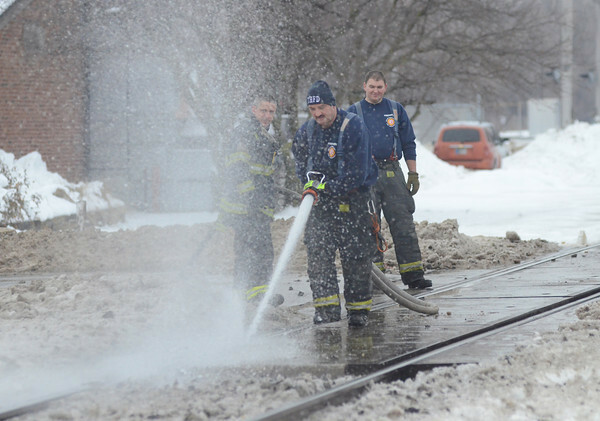 Having a blast: Terre Haute city firefighter Charlie Kerr uses water pressure to blast salt, sand and ice from the railroad crossing on Ohio Street at about 10th street. The melted salt interferes with the frequency of the signals sent from the crossing to a nearby control box. The crossing had been malfunctioning Friday before the cleanup.